The infamous Nissan Skyline- the car that became famous from the Fast and Furious movies. Although not the iconic R34, the R32 model is definitely a gem- especially in sedan form. Jon's 1989 R32 is the GTS-t model, t meaning turbo. Off the factory line, the GTS-t came equipped with a monster RB20DET turbo engine pushing 212hp. With the right mods, that number can increase exponentially which makes this platform highly sought after. 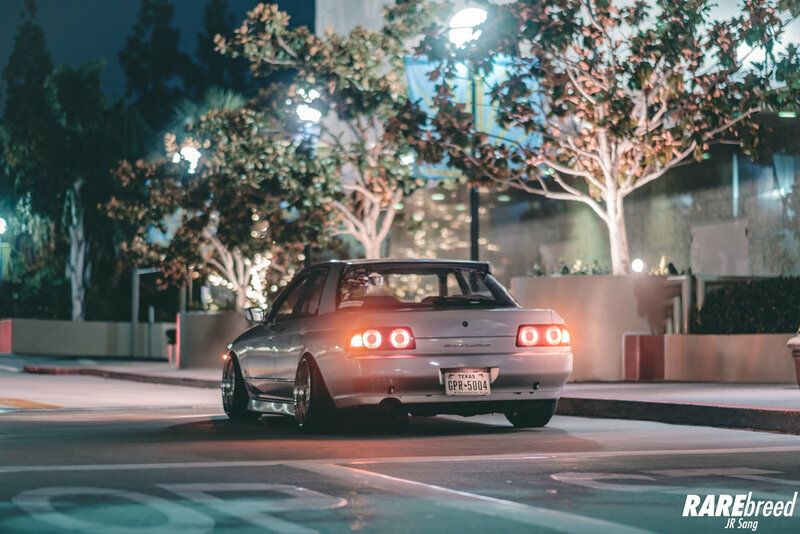 Unfortunately, the Skyline never made it State side, but thankfully the R32 recently celebrated its 25th birthday, making it legal to import. The GTR Front Bumper makes the front end so mean! Jon went with a custom set of Blitz Type 01 Wheels to complete the look of his build. Life is never complete without your best friend. Crazy how immaculate the condition is for being a 28 year old car. 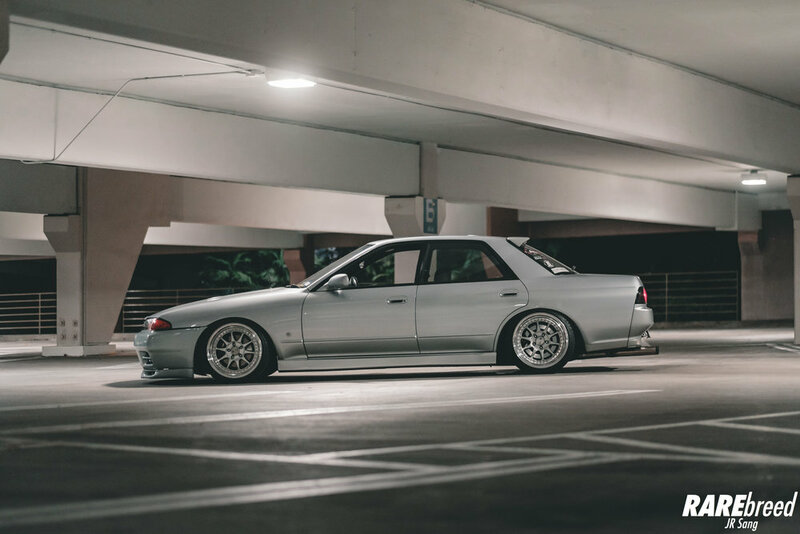 To keep the Skyline planted on the ground, a set of Cusco Coilovers were installed. 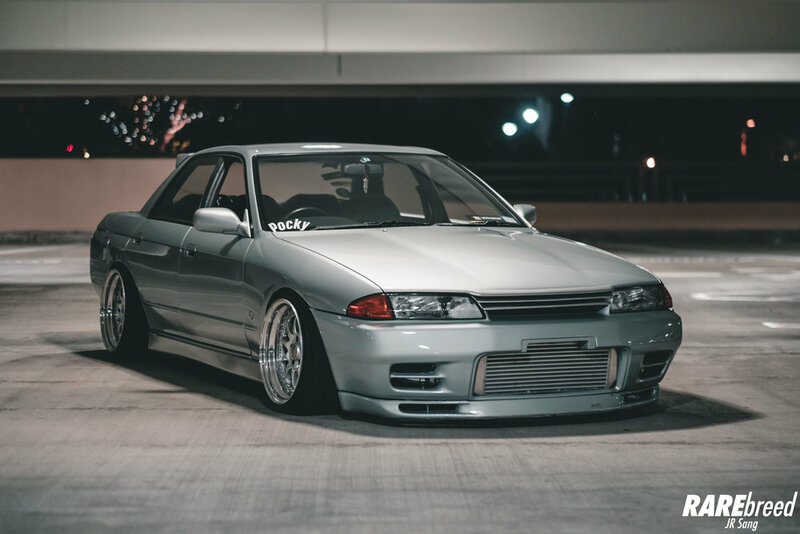 Follow Jon and his R32 on Instagram!